Fijian winger Semi Radradra is facing a ban for an incident which took place in the first half of Bordeaux’s 40-0 Top 14 thrashing at the hands of Toulouse last weekend. Rugby Pass reports, Radradra was yellow carded for a high challenge on Sofiane Guitoune in the 32nd minute. 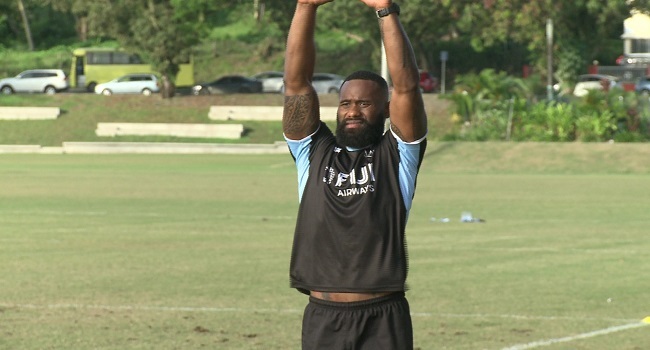 He will likely to be rested for the Flying Fijians match against Uruguay next Saturday and could miss out in their match against France on the 24th of this month. He initially competed for the ball, but having lost out dragged down Guitoune by the face and neck, with the Fijian looking to get past and pounce on the loose ball. In a statement from the Ligue Nationale Rugby, it stated that the situation is likely to constitute a breach of the General Regulations of the NRL and the FFR. Radradra is summoned before the Disciplinary and Rules Committee at its meeting next Wednesday. He is not suspended while waiting for the hearing. The LNR have not been clear as to what length of ban he could face if found guilty of an offence.